Grand Tour 2018 is coming up THIS October! For daily updates, follow our TCS Instagram at @tcskailua. 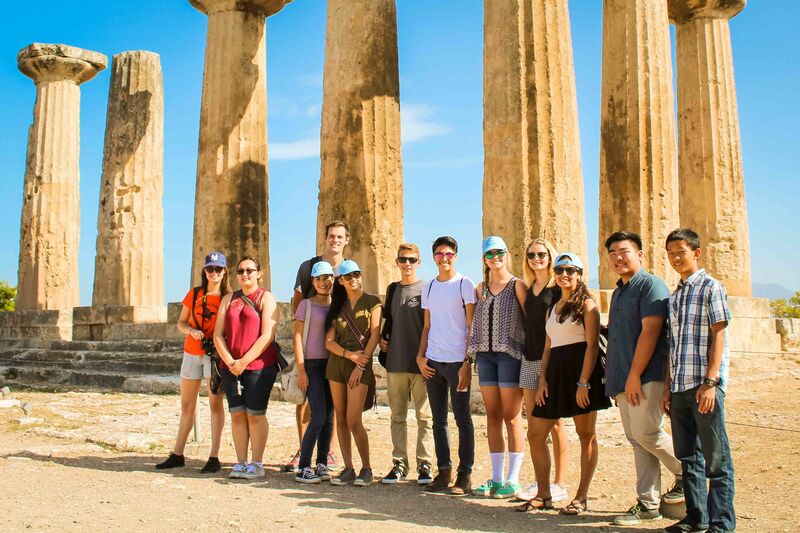 The classical education offered at Trinity Christian School culminates in the Grand Tour, a sixteen day trip across Greece, Italy, France, and England. Unlike any other school in Hawaii, Trinity offers this trip to all seniors, with the cost included in tuition. Throughout our curriculum, students learn the history, art, and literature of Western culture. On the Grand Tour, the centuries of knowledge and abstract concepts they have studied come to life. In Greece, our seniors trace the footsteps of the Apostle Paul through from Corinth to the top of Mars Hill where he delivered his speech to the Athenians. 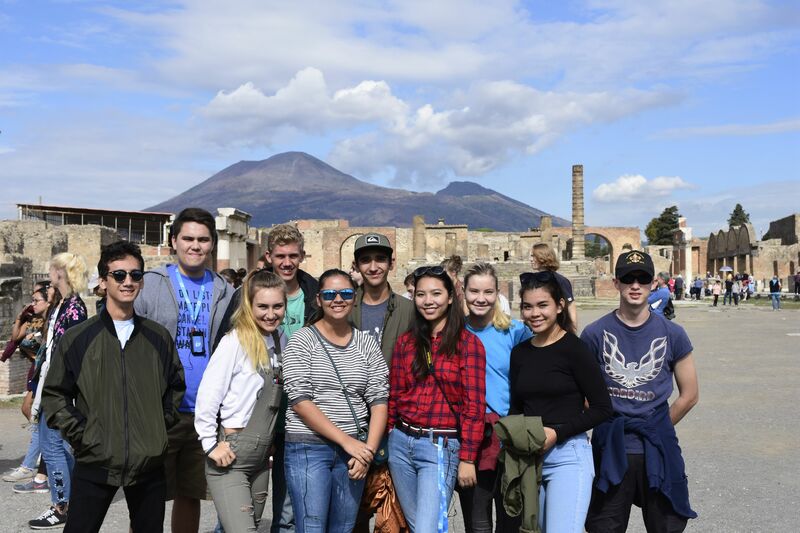 In Italy, they explore the ruins of ancient Pompeii, and consider the influences of the architecture of Rome and the Renaissance art of Florence. Finally, they turn toward modern times in their travels through France and the United Kingdom. On past trips, our students have ascended the Eiffel Tower, walked the D-Day beaches of Normandy, run across the fields of Runnymede where the Magna Carta was signed, seen Shakespeare performed in the Globe, and trodden the River Walk in Oxford where C.S. Lewis and J.R.R. Tolkien discussed Christianity. As students personally experience the aesthetic and historic locations of Europe, they have the opportunity to solidify their convictions, cultivate a cultural awareness, and identify with the mission of the church throughout history. Through their travels together, the senior class grows in their dependence on God and each other and prepares for a successful entrance into adult life. Interested in reading about past trips? Read our Grand Tour blog here. All posts and pictures are produced by the students throughout the trip. Photos from our annual Grand Tour trips. The senior students visit Athens, Corinth, Rome, the Vatican City, Pompeii, Florence, Paris, Normandy, London, and Oxford on a 16-day trip in October. For daily updates during the trip, follow our Facebook and Instagram accounts, @tcskailua.